Last week, we discussed how the Affordable Care Act (ACA) made sweeping changes to Medicare payments by tying them to outcomes. The new reimbursement policies are comprehensive and touch all aspects of patient care, including housekeeping. 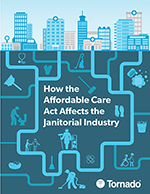 and how it affects the janitorial industry. Now that you better understand how the ACA affects your hospital’s income, let’s focus on strategies to help your department be a proactive partner in maximizing Medicare payments. Two critical metrics the government now uses for assessing Medicare reimbursements are rates of healthcare-associated infections and readmissions. To avoid penalties, housekeeping departments must clean for health, not appearance. The process starts, Hicks says, by developing a comprehensive plan that covers cleaning equipment and tools, procedures and frequencies, and janitor training. When it comes to best practices for procedures, Hicks says hospitals must do a better job of removing soil from surfaces before using disinfectant. This can be accomplished with vacuuming or microfiber mops and rags. Other processes to consider, he says, are using color-coded tools to prevent cross-contamination, adding hand sanitizer dispensers to encourage hand hygiene, and providing hospital staff with disinfectant wipes so they can help keep surfaces clean. “Clean hands and clean surfaces save lives,” Hicks says. Finally, thorough and ongoing training of housekeeping staff is a must. 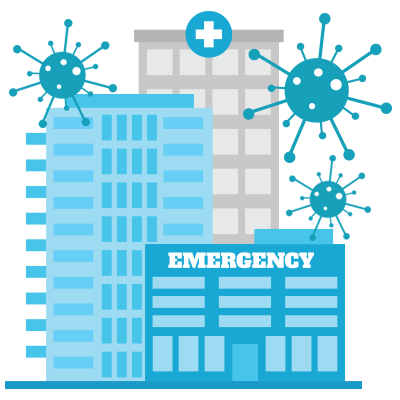 Read the Centers for Disease Control’s complete guidelines for environmental infection control in healthcare facilities. While delivering best-in-class cleaning is vital for reducing HAIs and lowering readmission rates, it’s not always enough to hit 100% reimbursement rates. That’s because customer-satisfaction scores are being given greater weight in determining how much money a hospital will receive from the federal government. Most patients aren’t experts in disinfection or cross-contamination, which means survey responses are based on perceptions of cleanliness, not measurable metrics. Housekeeping crews should be encouraged (or required) to interact with patients when cleaning their rooms, Hicks says. Go over this process during training, he says, and consider writing a script for new and shy staff. First, janitors should introduce themselves to the patient and any family in the room. Next, they need to explain that they are cleaning and disinfecting to prevent the spread of germs. Finally, before leaving ask if the patient feels the room is clean. If the patient and family aren’t in the room during cleaning, the housekeeper should leave a note with her name, what she did, and whom the patient should contact if they feel more cleaning is required. Hicks suggests getting pre-printed cards made to speed up this process. Similarly, patients may also have outdated notions about a room only being clean if it smells a certain way. Hicks says it may be worthwhile to choose cleaning products that have a clean, fresh scent to address this perception. 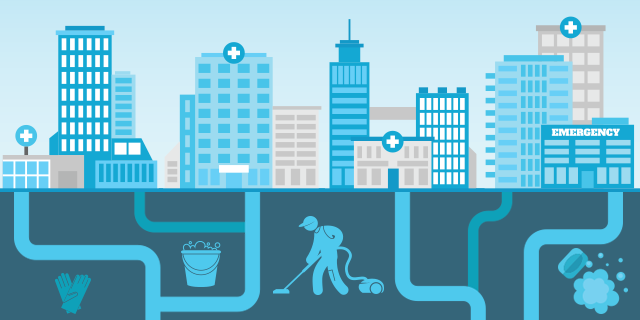 By investing in cleaning for health and patient satisfaction, the housekeeping department can shine as an MVP by helping the hospital recoup major dollars in Medicare reimbursements. Special thanks to Mr. Darrel Hicks for contributions to this article. Darrel is the owner/principal of Darrel Hicks, LLC., specializing in B2B consulting, webinar presentations, and facility consulting services related to cleaning and disinfection. He is nationally recognized as an expert in cleaning related infection prevention and control, and has written and published numerous articles as part of his commitment to providing a cleaner, safer and healthier indoor environment. 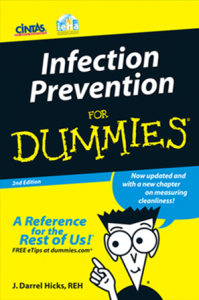 In 2010, Hicks authored “Infection Prevention for Dummies”, a 43-page, pocket-size book with topics such as: Use cleaning techniques to keep infection at bay; Match the disinfectant to the situation; Understand disinfectant label claims; and Keep your environment healthy. Sign up for Tornado’s newsletter for more info like this. Watch your email and follow our blog posts for more info on topics impacting businesses and for ways to grow your business!